Browse » Home » Lewré » Lewré OFF-SEASON CLEARANCE SALE: Footwear & Handbags at up to 80% OFF! 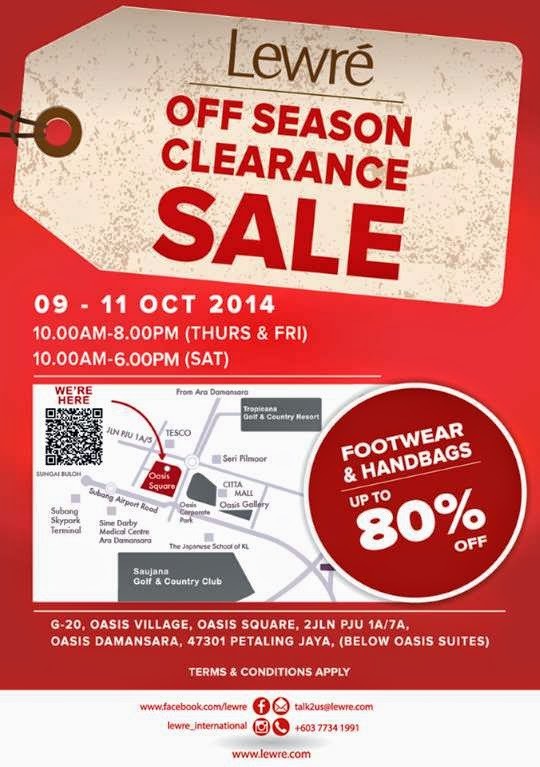 Lewré OFF-SEASON CLEARANCE SALE: Footwear & Handbags at up to 80% OFF! Location: G-20, Oasis Village at Oasis Square. 2, Jalan PJU 1A/7A, Oasis Damansara, 47301 Petaling Jaya. Lewré Footwear & Handbags at up to 80% OFF! Do you like Lewré OFF-SEASON CLEARANCE SALE?